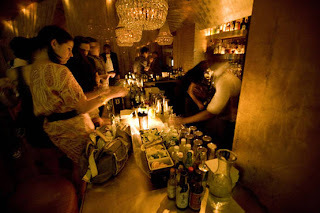 Bright Lights, My City: Summer Recap #1 - GoldBar. On a school night. As any city girl knows, the most memorable (and severe hangover inducing) nights happen in the middle of the week. On May 20th, a couple of my best gals and I headed out for a GNO (our clever abbreviation for what else, but a Girls’ Night Out). 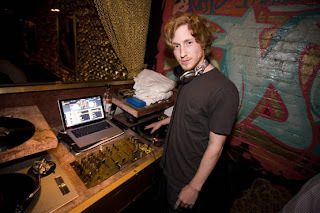 After hitting up a few LES favorites, we met up with friends at GoldBar for Asher Roth’s Website Launch Party. Boy, did we “love college” as much as we loved Asher in the DJ booth. 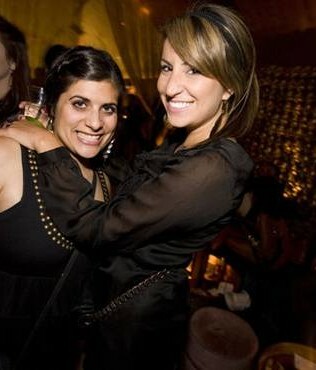 Of course this night led to dancing until we had to sneak by our doormen, barefoot, with heels in hand. I'd love to check out Goldbar next time I visit NYC. It wouldn't really be a GNO tho' because I'd have Mike as my date!